Is good Photo Gear really important for Real Estate Photos? The equipment of a photographer is always of importance. Unreflected statements of some photo artists say, that gear can be neglected and that it is all about the brain behind the camera. But this is just self-pr and mostly serves for their personal image as creators of culture. This statement is true only until it comes to choosing the appropriate tools. 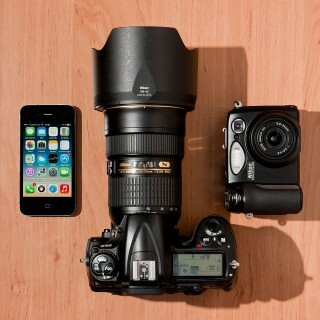 How important a good photo equipment is, always depends on the photography genre you are heading for. In the following we have associated the requirements of a few different photography styles with nessecary equipment features. If your are a photo journalist, wedding photographer or a war reporter you need a reliable and robust camera, with a high frame rate and an excellent signal processor as well as fast lenses with a wide range of focus lengths and quick autofocus. In addition to that powerful speed lights are part of the basic gear. Furthermore the equipment has to be very mobile. For this they need a well organized and comfortable photo bag, which allows a quick access to the whole gear. A professional fashion photographer or commercial photographer usually loves to work with a high resulution camera. A big sensor is responsible for fine nuances in high gloss prints and for minimizing image noise. Such medium format cameras mean potential investments, hence they also need high resulution quality lenses. In addtion to that these photographs are very often made with the support of artificial light, thus as mobile or stationary studio will be required. A photo reporter, landscape photographer or travel photographer works similar to a photo journalist but focuses more on sharpness, details and composition. He takes his time for shooting, thus he would not need a fast camera but nevertheless a high resolution gear that can be moved easily. In addition to this he needs a sturdy tripod to give his camera a good amount of stability for long time exposures. He works mobile and carries his stuff long ways. Here a good backpack is of great help. Photo artists and street photographers very often catch the action of a moment and vary the conserved reality to their imagination by certain shooting techniques or subsequent retouching procedures (motion blur, black and white, contrast grading etc.). This can very often be achieved with a simple camera (many are successful even with their smart phone) – with a better compact camera they are on the safe side. Mobility can be neglected, since a small camera can be taken with you all the time. Our recommendation for a good basic equipment you can find here. adjust his equipment according to these technical pre-conditions. In this respect the brain behind the camera is important indeed, but it is nothing without appropriate gear. And there is also a third ingredience for a great photograph, about which we didn’t speak at all in this article: Without a great subject matter every photography effort is for nothing.